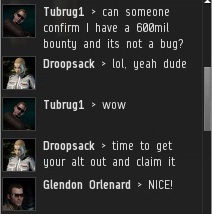 Has Tubrug1 cashed the bounty in yet? I assume so, because it's not on his bio anymore. I have, and I'd like to say a big thank you to the mystery donor, it shall be invested and then used to purchase shares in the New Order. 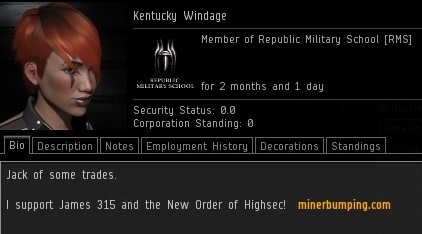 Do you view this as an anonymous donation to the New Order ? 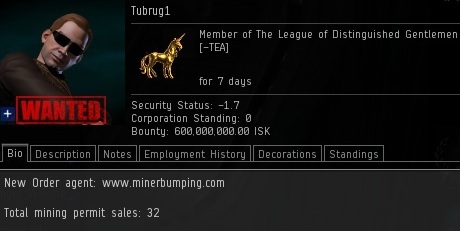 I wanna bounty to, unfortunately my current sec status prevents it. 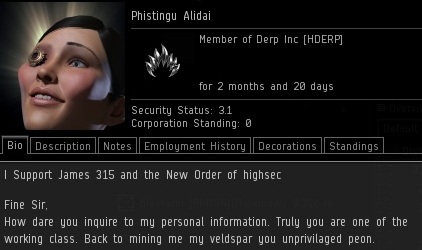 My question is thus, do I wait until december 4 to acquire my bounty or shall I gain one sooner via the introduction of munitions into a miner? Munitions + Miner would produce results quicker. Your call I suppose.